A lone anthropomorphic figure on the McConkie Ranch in Dry Fork is carved next to a sandstone outcrop that is covered in colorful lichen. 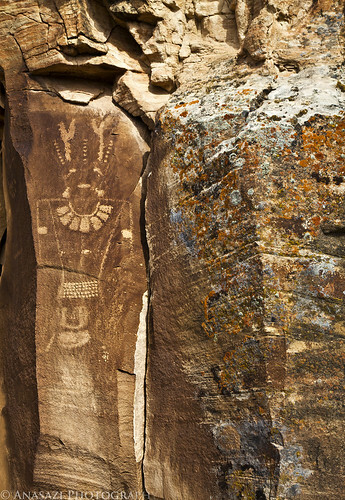 I spent hours on the McConkie Ranch exploring and photographing all the rock art. I’m looking forward to heading back again next chance I get.